The Cubs are World Series Champions! Honestly, part of me never thought I would be able to say that. But after watching this 2016 season unfold part of me thought I had a really (really) good chance to finally type those words and say them out loud. And, well, it happened. It actually happened. What an amazing and gut-wrenching game it was. But, of course, it couldn’t happen any other way. I’m still buzzing, floating and taking a moment to enjoy, reflect and soak it all in. This one is special for sure. After running around the house waving the W flag, I sat on the couch in a daze as my son Calvin looked at me wondering if I was okay, which I think was very similar to how I looked at my Dad in 1984, and 1989 when the Cubs won the division. But this was different. This was the World Series. I’ve always known that my love for the Cubs is about more than just the game. This moment is about so much more. It’s about the people in my life who taught me how to play and love the game and love the Cubbies. It’s about all those great moments I’ve shared with family and friends during games that makes this win and this team something I’ll never forget. So many memories and emotions racing through me. Wow! 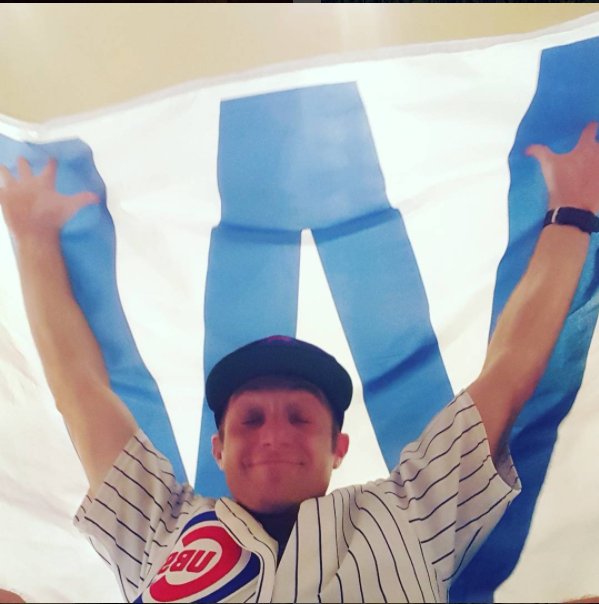 This one is for you dad and all the others watching down on this most glorious and historic night as we all Fly The W! It’s about seeing what we can learn from the moment too. What did this historic feat teach us about winning, losing, expressing emotion, persevering, building a community, building a team, leadership, the importance of celebration and much more? As I shared in my No Sports for Year experiment (yes, I’m glad I didn’t pick 2016 to do that experiment! ), this historic moment has many other great learning moments that can be applied to other areas of my life. So I’m processing it all and wrestling with thoughts and ideas as I put together what I’m learning. And I look forward to sharing what I’m learning with you. Until then, I’m letting it all wash over me as my son and I sublimely hum “Go Cubs Go” together and watching on the television as Chicago erupts into glorious celebration two thousand miles away.